If you’re anything like me, you have somewhat of a turbulent relationship with coffee. For a few hours after that morning cup (or 3), you feel full of energy and ready to take on the day. But once the afternoon hits, you start feeling jittery, fatigued, a bit anxious, and not so amazing in the gut. You try to make the bad feelings go away by, of course, drinking more coffee! But then you can’t fall asleep at night, and when you do, you’re having weird dreams, tossing and turning every half hour, or interrupting your sleep by getting up to pee three different times. You try to quit or reduce coffee intake, but then come the headaches, the fogginess, moodiness, and mourning of that comforting, hot bean water in your hands each morning. I get it. I was addicted to coffee for several years, and at one point I was drinking 8-10 cups a day. If you’re looking to reduce your coffee intake or quit all together, all hope is not lost – Peruvian superfoods can help! Start by reducing your coffee intake as much as possible. I would recommend cutting down to just one cup each morning. Slowly weaning yourself off can be less frustrating and yield long lasting results better than quitting cold turkey. Once you’re down to just one cup each morning, try incorporating these Peruvian superfoods into your diet, and I promise that little by little you will grow to love these plants and the way they make your body and mind feel. 1. Maca: Maca is a relative to broccoli, cauliflower, cabbage and kale. It’s a native Peruvian cruciferous vegetable whose root is used for medicinal purposes. You can take maca in supplements, or buy it in powdered form to use in smoothies, oatmeal, baked goods, energy bars, etc. Alone it doesn’t have the best flavor, but mixed into smoothies, oatmeal, etc., I tend to not really even notice it’s there. The list of maca’s health benefits goes on and on. To name a few, maca is high in carbohydrates, protein, vitamin C, Copper and Iron. Maca can increase fertility in men, and help balance hormones and relieve symptoms of menopause for women. It’s been shown to improve learning and memory, reduce anxiety and depression, help boost energy and improve exercise performance. 2. 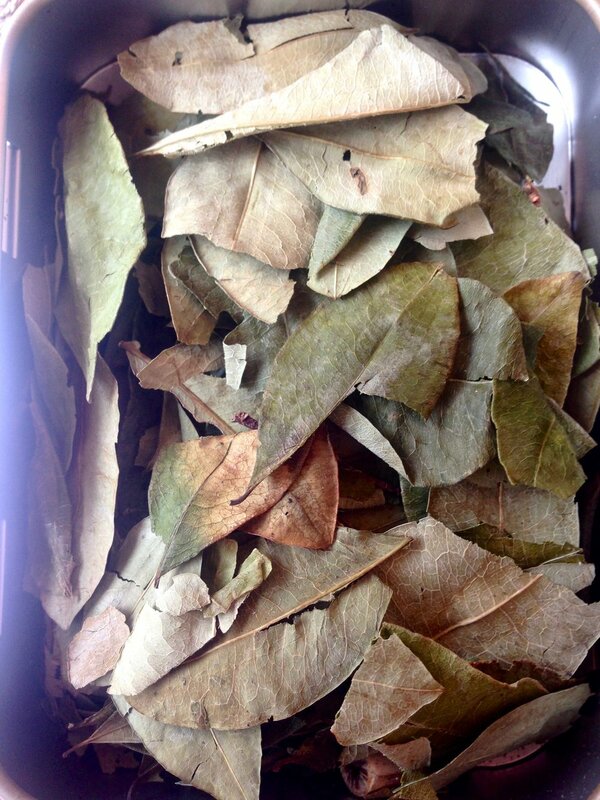 Coca: It’s a huge shame that coca leaves are illegal in the United States (although, let’s just say it isn’t impossible to find it – *cough* - look on Amazon). While, yes, coca is used to make cocaine, the plant itself is nothing but pure amazingness for your body and mind. In Peru, coca is considered a sacred plant, often used to make offerings to Pachamama, or Mother Earth. Coca is a major source of nutrients, packed with protein, calcium, magnesium, phosphorus, fiber, protein, antioxidants, and vitamins A, B1, B2, B3, B6, and E. Coca is a natural diuretic, combats arthritis and osteoporosis, improves blood circulation, and prevents anemia. It’s also a natural pain killer, and an amazing remedy for altitude sickness. Like maca, coca can be taken in supplement form, mixed into smoothies or baked goods, or drunken as a loose leaf tea. Coca has been my main squeeze in helping me to greatly reduce my coffee consumption. I blend powdered coca leaves with honey and hot water each morning, so I satisfy my craving for a hot liquid at the start of my day, while staying away from the coffee. I feel super energetic and happy after I drink it, and I don’t get any of the acid stomach, energy crash, peeing every 20 minutes, or jittery effects that I do with coffee. 3. Cacao: It’s what chocolate comes from! So obviously it’s amazing. Cacao is also considered a sacred plant in Peru, used in ceremonies to open the heart and ignite deep transformation. This incredible Amazonian superfood is way high in antioxidants (it has 40 times the antioxidants of blueberries!) and is full of magnesium for a healthy heart and brain. Cacao is the highest plant-based source of iron known to man, so if you follow a vegan or vegetarian diet, cacao might be an excellent addition to your diet! Like maca, cacao is also a natural anti-depressant, so throw some maca, coca, and cacao into a smoothie and tell me you don’t feel amazing afterwards! These are just a few of the many incredible superfoods that come from Peru and other parts of the Amazon, so keep researching (or, better yet, join us on a Peru retreat)! If you are looking to improve your energy level, diet, and overall well-being, there’s no reason you should miss out on all the benefits that these foods have to offer. Below are a couple of my favorite simple recipes that incorporate the superfoods listed above, and a few more :). All you do is melt the coconut oil over the stove, and the honey and peanut butter so that it’s all soft and easy to stir, and then mix everything in! Roll into little balls, stick them in your refrigerator and you have a snack packed full of nutrients and energy to eat anytime throughout your day! Living in Peru has completely changed my relationship with my body and with food. There is so much to learn here from the plants, fruits and vegetables with which we share the earth. I am happy to share what I have learned to help improve the well-being of anyone looking for a change or shift in habits. If you found this article interesting and would like to learn more, don’t ever hesitate to reach out! Thanks so much for reading, and go eat some yummy superfoods! What actually are vitamins? And what do they do?